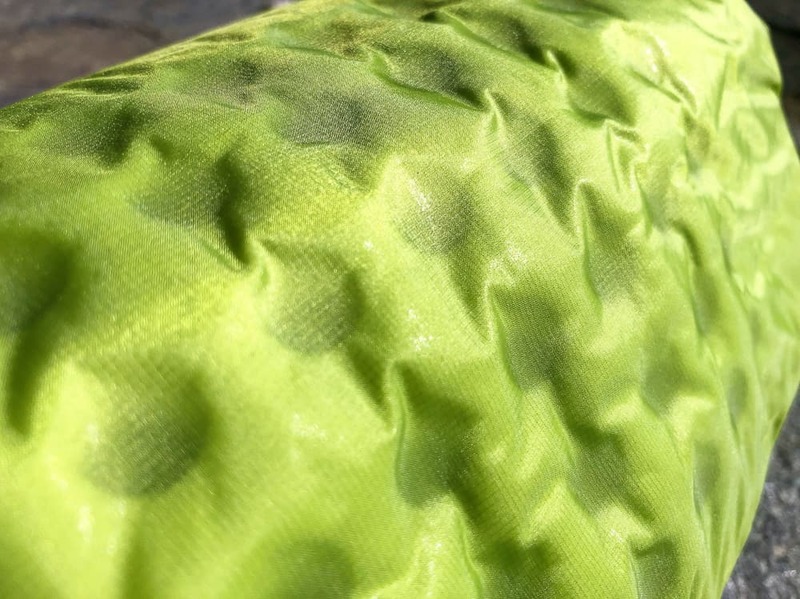 We’ve been testing out some of the Vango F10 Aero Range this last year on our outdoor adventures, and today we’re reviewing the F10 Aero sleeping mat. The Vango F10 range, launched back in 2017, has a heavy focus on technical specification and is designed with backpackers & hikers in mind. The range is super lightweight with clever design elements, making this Vango self inflating mat perfect for bothying, camping & backpacking. You’d probably think there’s not much to say about a sleeping mat. Think again. This one is next level. This Vango self inflating mat comes in three sizes. Standard, compact and short. 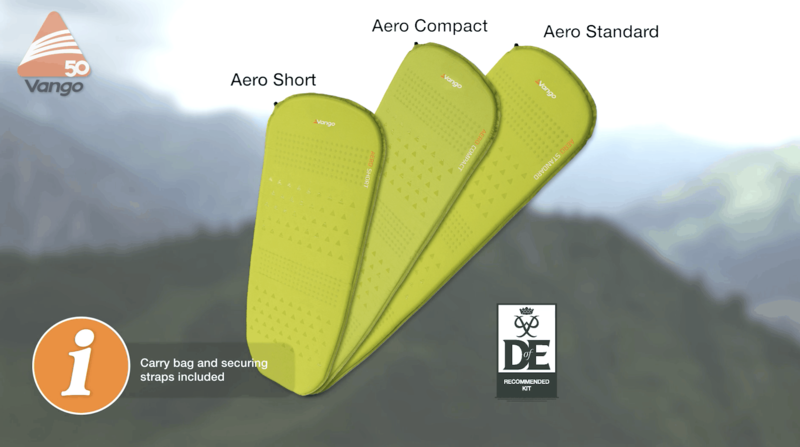 We’ve been using the Aero Standard which is a full size sleeping mat coming in at 183cm in length x 51cm width x 3 cm deep and weighing in at 0.78kg. The medium size, the Aero Compact is 168.0cm in length by 51cm x 3cm weighing 0.72kg. Whilst the Aero Short comes in at merely 120cm with a weight of 0.5kg – that’s only 500 grams! 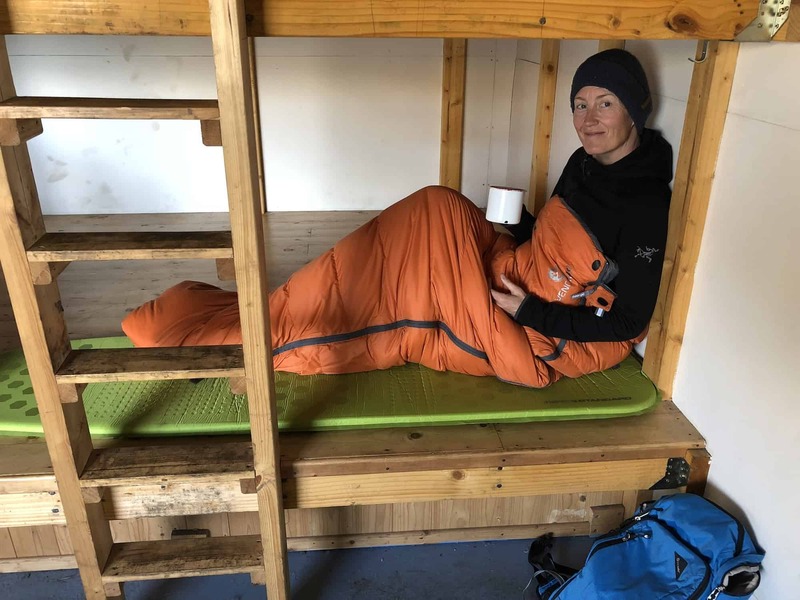 We were eager to try out the F10 Aero sleeping mat during our bothying adventures this year, because the technology behind the F10 range makes it super lightweight. For bothying you need to carry all in of your kit, which meant we suddenly became weight conscious of every single item on our kit list. As well as weight, pack size was scrutinised. The F10 Aero standard compacts down to 27.0 x 16.0cm making it the perfect companion for outdoor adventurers carrying all of their gear. 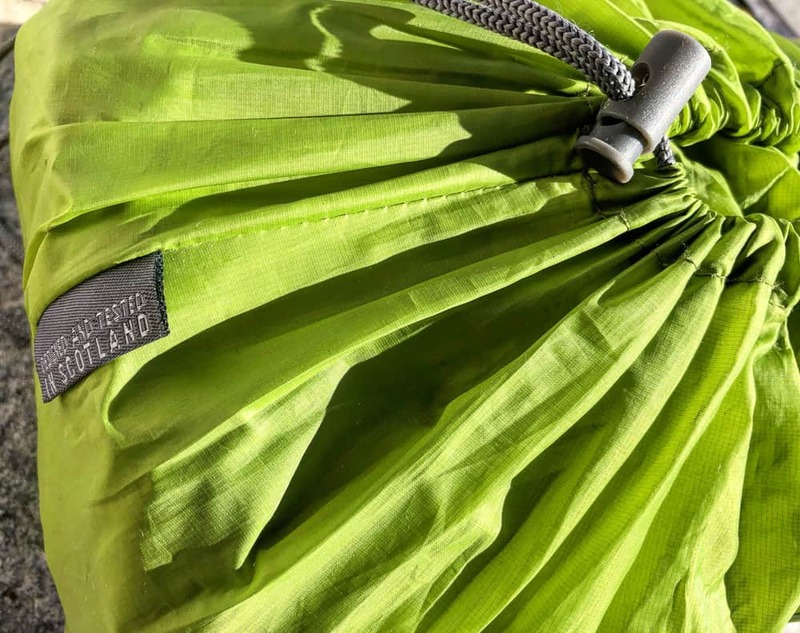 Whether you’re hiking out to a bothy for the night or trekking a multi-day hike such as the Tour du Mont Blanc and plan to camp along the way, this self-inflating camping mat will definitely lighten your load. So how do Vango make this mat so light? I’m really impressed with the simple technology (why did no-one think of this years ago?). Vango have cleverly cored out areas of low pressure under the back & legs to reduce the weight and pack size. Simple. 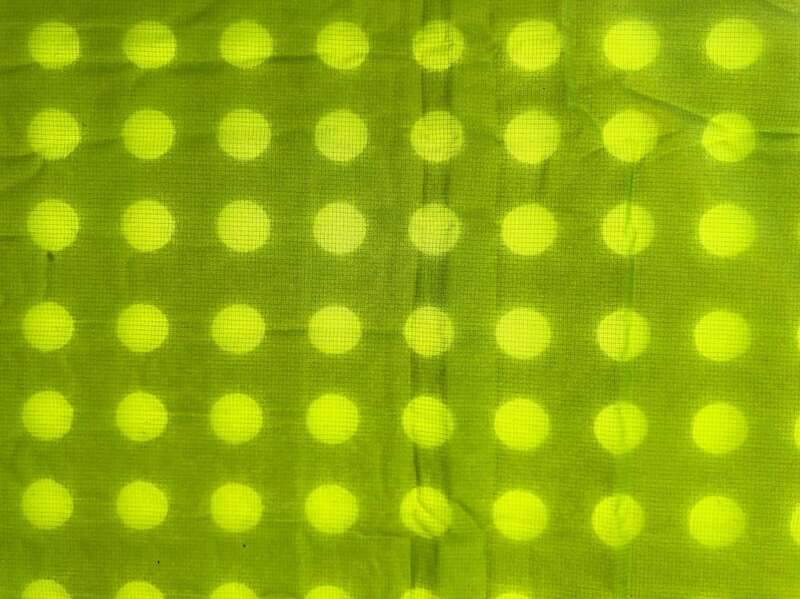 The photo below shows the core holes of the sleeping mat as I hold it towards the sunlight. I remember the days, not so long ago when my girls were super little, when camping consisted of chucking everything but the kitchen sink into the back of the van and driving to said campsite. Weight didn’t matter then. It does now. Our outdoor adventures are becoming further afield now our girls can hike longer distances, opening up a whole world of new adventures to us. Bothying in the Highlands was definitely a highlight of 2018 and using these Vango self-inflating mats made all the difference to helping lighten our load on the trail (read our Bothying for Beginners guide here). 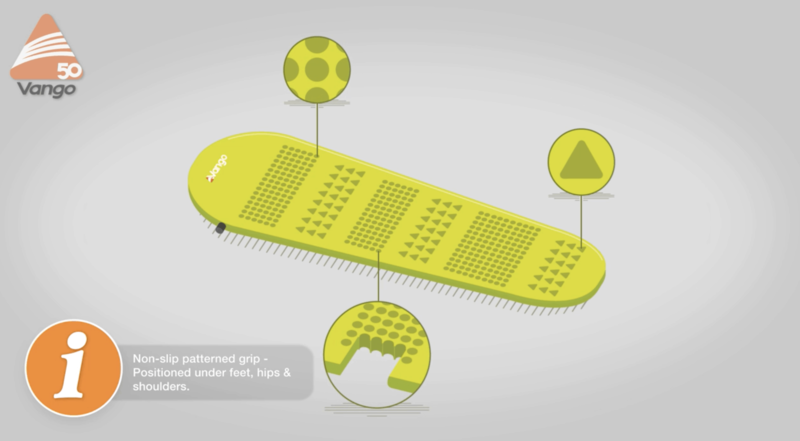 The F10 Aero sleeping mat has a number of nice features. One is the non-slip grip it has on high contact areas – feet, hips and shoulders, making sliding off in your sleeping bag a thing of the past. 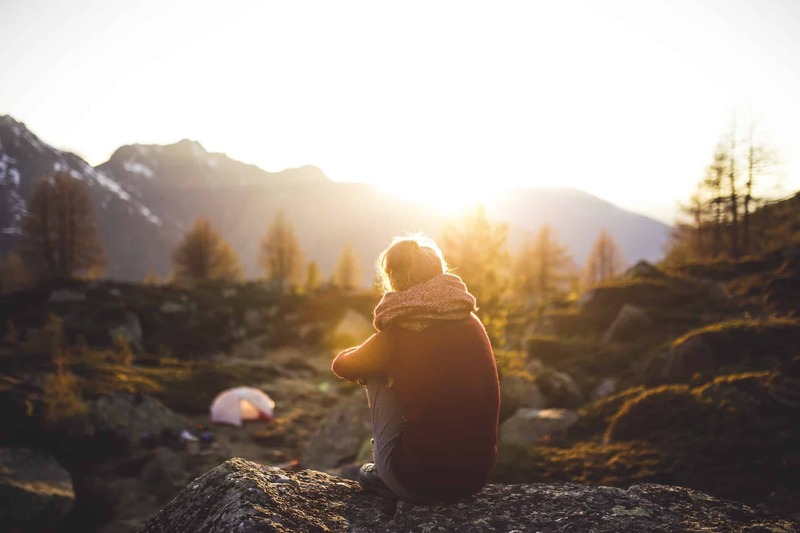 I’m not saying if you pitch your tent on a hill, that you won’t end up scrunched in a ball at one end of your tent, but we’ve definitely noticed the difference waking up on the mat every morning! This Vango sleeping mat is made from 20 denier lightweight yet durable Ripstop polyester outer fabric. It’s heavy duty, meaning years of adventures with no rips or tears. And if the unthinkable happens, a repair kit is included. We haven’t had to use ours at all. The mat seems robust and is still in excellent nick after almost a year of use. This sleeping mat has a 3 cm deep open cell foam system designed for insulation and maximum comfort. It’s rated a 7 on Vango’s comfort range which is in the middle of the scale. I’ve always slept really well on this sleeping mat. I mean sleeping mats are never your bed from home but this mat has always given us a good nights sleep for camping. We even tried the mats in our igloo! Whilst it was too cold to sleep the whole night through, the insulation it afforded us was impressive. Next time I’d double them up on snow! In the photo below you can see the hexagon patches of non-slip grip that secures your sleeping bag to the mat that I’ve already mentioned. 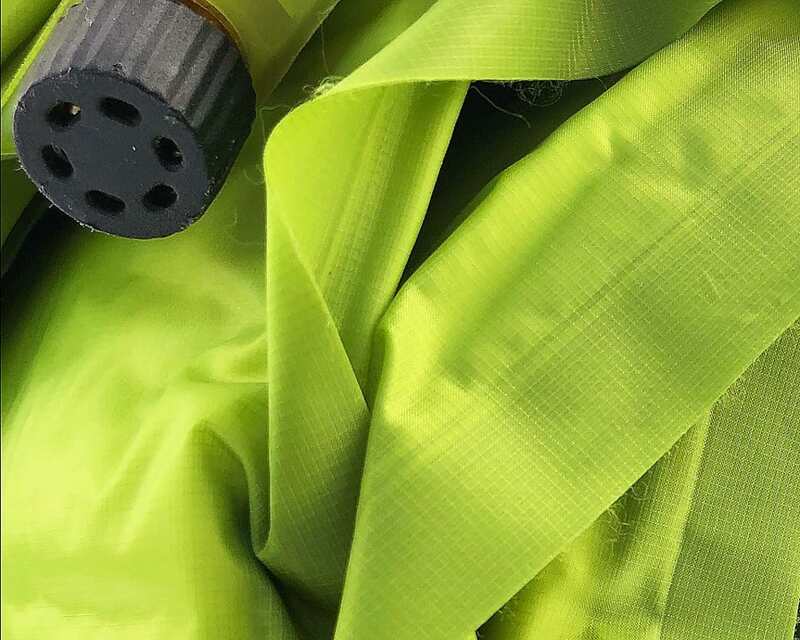 As with many brands of sleeping mats on the market now, this mat is self-inflating from a fast flow valve on the side, makes it fast and easy to inflate the 3cm thick open cell foam. Deflating this sleeping mat is equally easy and takes minutes. Roll up and fold in half. Done. I’m all about packing up super quickly – it makes it so much easier when you’ve got kids when things can take a long time to pack up and go. This mat comes in a handy draw string ‘Fast-Pack’ carry bag which fit easily, enables a quick pack up and can attach to the outside of a backpack, which is generally where we carry out sleeping kit (unless its raining). To see this sleeping mat in action, check out this product video by Vango on the F10 Aero sleeping mat. As well as being durable, comfortable and warm, it was the lightweight factor that really sold it for us. If you wanted to lose more weight, you can lose another 280g by buying the F10 Aero Compact weighing only 500g to keep comfort only where it really matters. The Compact would be perfect for camping along the Tour du Mont Blanc or other multi-day hikes. 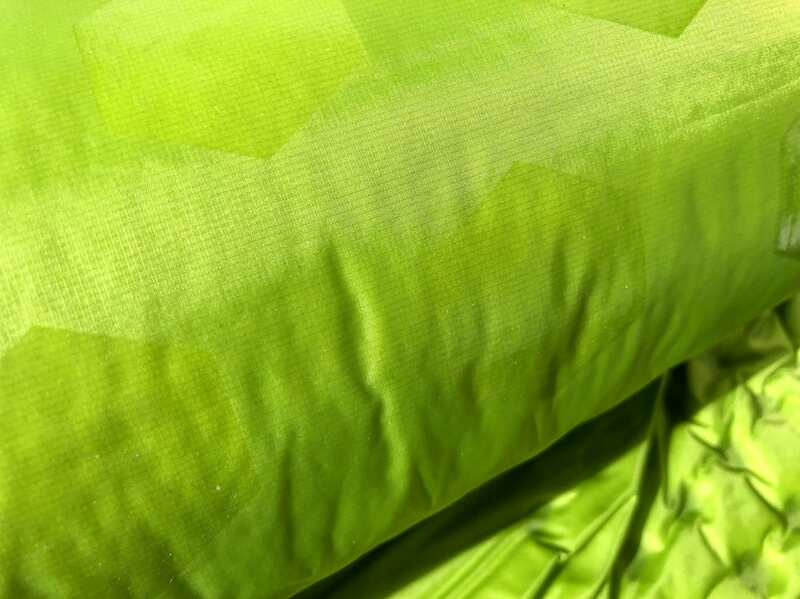 The price fluctuates around the £40 mark depending on the retailer, which is in line with top end sleeping mats. In our opinion, it’s definitely worth the good nights sleep! We are super happy with our F10 Aero sleeping mats. If you’re looking for a self inflatable sleeping mat for outdoor adventures where weight is key, we’d highly recommend the F10 range. Disclaimer: we were providing with our sleeping mats by Vango for the purposes of this review. We only review kit that we have tried and tested and only promote products that we love.